Born and raised in the idyllic Woodquarter, he was already dominated by a great interest in art of all kinds and media at a young age. After a short excursion to the study of Human Medicine, he decided to pursue an academic career in music. On jazz and popular music (with Wendinger Wendlinger) followed contemporary classical music (with Dr. Gunter Schneider), and again the early music (with Dr. Luciano Contini). 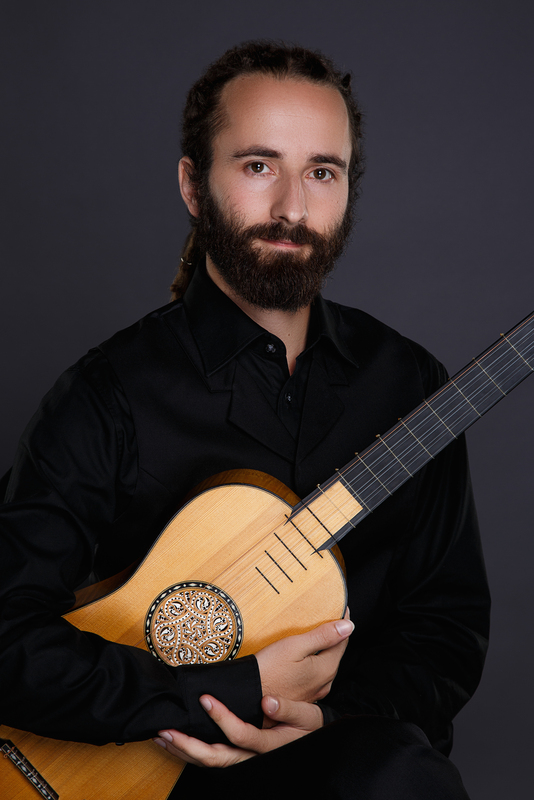 During his studies, he gained a lot of experience as a lutenist, guitarist, arranger, composer and teacher. He performs with various ensembles and orchestras in the fields of ancient, new, improvised and jazz music. Collaboration with contemporary composers is just as much a part of his artistic work as researching and transmitting historical manuscripts and working on interdisciplinary projects (literature / film / performance / theater / music). Klaus Haidl is a prizewinner of various international competitions and awards in the areas of music and film. Concerts within the scope of Radio Ö1, Days of New Music Donaueschingen, SWR, SR2, Impulse Academy Graz, Klangforum Vienna, Jazzwerkstatt Vienna, Wiener Festwochen, Wien Modern, Jeunesse, Progy & Bess Vienna, Studio Dan, Organ Concerts St.Pölten, Dommusik St .Pölten, Autumn Festival Vienna, Montmartre Vienna, St. Pölten Baroque Festival, Parque del Sol Festival, The Small Symposium, New Music St.Ruprecht …. He has worked with Bernhard Lang, Maja Osojnik, Arturo Fuentes, Manuela Kerer, Michael Niavarani, Michael Posch and Philipp Tröstl, Renald Deppe, Dimitrios Polisoidis, Sergio Azzolis, Vinko Globokar, Burkhard Stangl, Isabelle Duthoit, Hannes Löschel, Mirjam Jessa, Wolfgang Schlag, Gotthold Schwarz, Daniel Riegler, Vincent Pongracz, Michael Öttl, Ingrid Eder, Judith Ferstl, Manu Mayr ….